Is a non profit medical charity developed by Robyn Dyleski & Fred Girard to provide access to safe free surgery in the Philippines. It was formed to continue the work the team began under the previous medical charity. Robyn has worked with the team for many years. Better Smiles Brighter Futures have provided financial assistance to ensure the committed team can provide care for the children who don’t have access to these life changing surgical procedures. They continue to provide ongoing finanical support to allow the missions to be successful. AMRO (All Terrain Medical Relief) Organization is an NGO based in the Philippines that was founded in 2009 by Dr Wyben Briones. They conduct medical relief operations including minor surgical & general health care as well as the relief goods distribution in rural & mountainous communities in disaster affected areas. The multidisciplanary team have been involved in disaster responses to the Typhoons Ondoy (2009), Sendong (2011) & Yolanda (2013) as well the earthquake in Bohol in 2013. They aim to help those who can not be easily reached by other rescue teams. The Filipino Australia Community Association Eastern Sydney has recently partnered with Smile for ME. 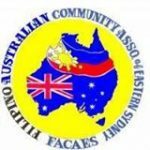 The Filipino Australia Community Association Eastern Sydney is an organisation working with the local Filipino community to provide services for the local Filipino community. They hold regular fundraising events & we are pleased to be involved with them. In 2017 the surgical mission is partnering with a new hospital the Perpetual Succour Hospital. The hospital is a dynamic & socially responsible global health care institution that will be an excellent place for the team to continue the work of the Smile for ME team . We look forward to partnering with this outstanding facility.